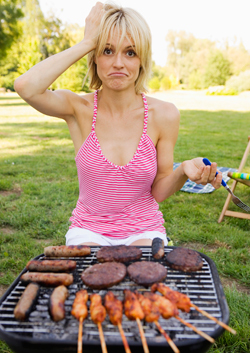 Is meat good or bad? Who’s right? It seems a week doesn’t pass that we don’t hear something in the media about the dangers of eating, drinking or coming into contact with one substance or another. Even more confusing is that if you wait long enough, someone else comes out with another study extolling its health benefits! Sushi, Red meat, NutraSweet, Sucralose, Saccharin, Dyes, Perfumes, High fat foods, Eggs, Decaffeinated coffee, White bread, Hot dogs, Sugar, White flour, Coffee, Carbohydrates, Tap water, Margarine, Butter, Wheat, GM corn, Fluoride, Silver fillings, Tuna, Bacon. Consider this. For every person who has had an adverse effect, millions have not. In fact, we’ve all heard of those in their 80s, 90s or older claiming their secret to longevity was the result of eating or drinking something we’ve been told is bad for us. Hmmm. Maybe it’s not just the substances. Maybe it’s our attitude, stress level, ability to adapt (nervous system integrity), the toxicity of our environment and a constellation of countless other issues at play. What do you think?